Gorgeous Custom Built Home/Duplex only a few blocks from the beach. 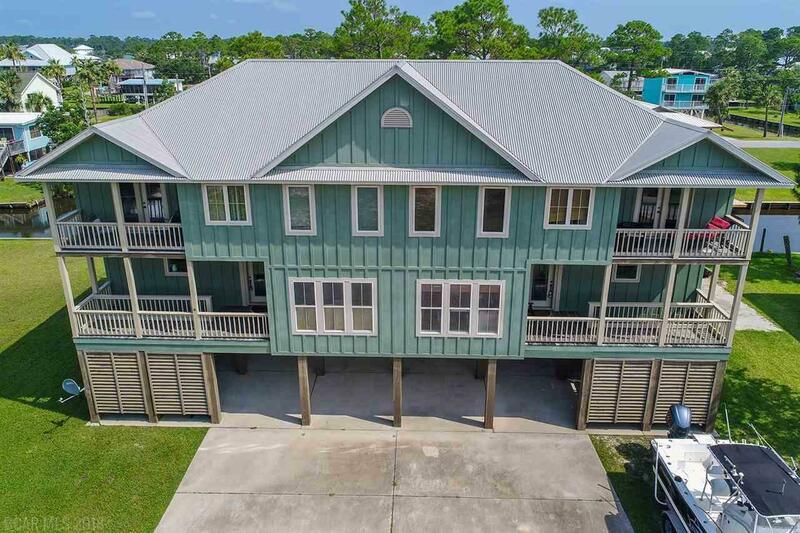 This home is in direct proximity and within walking and biking distance to many of the attractions, restaurants, and shopping in Gulf Shores. Fantastic stove top island in the kitchen. Spacious rooms with a view from all!!! Large Master bedroom with private bathroom with double sinks and custom shower. Jack and Jill bathroom adjoins bedroom 2 and 3. All rooms offer a wonderful island view. Canal front with large shared balcony overlooking the canal. Shared Boat Ramp (with east side of duplex). Perfect covered parking/family area underneath home. Custom built fish cleaning area. Enjoy relaxing from dusk to dawn in this perfect Gulf Shores Beach Home. NOTE: Side 2 is also available. See MLS #272580 NOTE 2: Home Inspection and Appraisal available upon request.